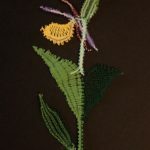 Gumlace is an email chat group for lacemakers living in Australia, formed on 21/12/2004. It is a closed group. This website is where we share pictures and information for members: there are no contact names or addresses given on this site, but lacemakers in general are welcome to browse and enjoy the contributions. R U a Gumnut Junkie?